Noordyk Business Equipment is proud to be a local, family owned small business. We would not still be in business today, if it weren’t for the support and commitment we receive from our customers. We make every effort to return that support to other small businesses within our community. NBE chooses to give back by supporting events put on by schools, churches, non-profits and other local organizations. We encourage members of our team to give of their time and resources as well. West Michigan is a great place to live and do business; we are happy to do our part in making it such! 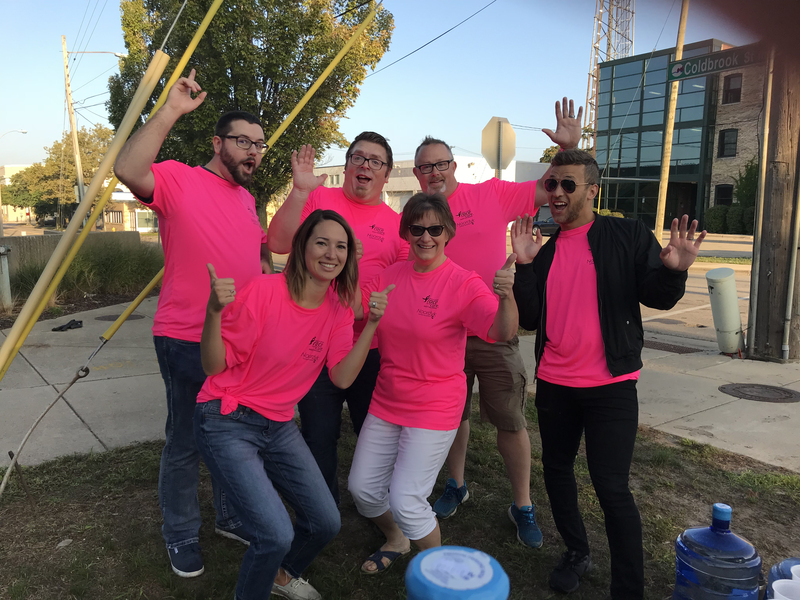 Members of our Sales Department took time out of their Saturday to pass water to participants of the Susan G. Komen “Race for the Cure” Saturday September 15th, 2018. We are happy to help support local businesses as well as the fight against breast cancer.